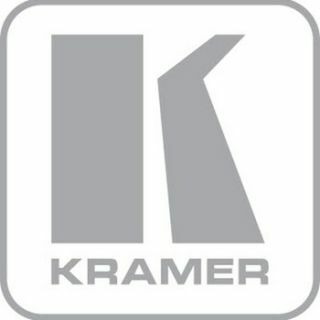 As a follow-up to its room control system K-Touch, Kramer Electronics has released a new K-Touch Builder version 2.0.0 that adds new features and apps to the original version. The most significant improvement is the Android app that supports the same features as the iOS app, including improved variables and improved multi-state images. Since K-Touch is cloud-based, the updates can be added seamlessly. - Variables: For K-Touch power-users, variables make building complex controls simpler. Almost any aspect of a remote can be controlled by a variable. - Multi-State Images: Buttons and links now have three appearance states: default, pressed, and selected. Make your user interface more interesting and more interactive. Give your user interface more meaning with source selection indication - all in a single Drawer. The graphics in the three main themes have all been updated with "pressed" states, and activity and source buttons also have "selected" states. Put them in groups so they interact with one another, and use variables for even more exciting effects. Templates will be updated so the Handset Wizard can create handsets with two-state buttons. - New Top Drawer: Top Drawers work as 'pinned' (static) drawers, since the gesture to open and close a Drawer conflicts with the gesture for iOS' Notification Center. - Second Multi-State Deselect Group: Multi-state images now support a second 'deselect' group, allowing for two sets of source/activity to interact with one another without using variables to do so. One example is in the default handset templates, where there is a set of activity buttons on the home page, and another in a Drawer. Now, when you press 'Watch Movie' in one place, it is selected in both. - URL Widget Refresh: URL widget views now refresh at a user-defined interval. This is particularly useful with static pages with content that changes periodically. - Wake-on-LAN (WoL) Action: WoL is now an Action object. Add the WoL object to a macro on a button or a link or in a panel entrance for much better control of WoL devices. - UPnP Auto-discovery: Automatic discovery of some UPnP devices is now supported. - Rebuilt URL Scheme with Linking: Launch K-Touch and open the remote to a specific Page and Panel using nothing more than a URL. In addition, the 'Back' button now supports external applications, so if some other app calls K-Touch, the 'Back' button returns the user to the external application. - Builder Handset Full-Resolution Grid: The handset layout grid can now be as fine as you need. Make your grid the same size as the number of pixels in the handset. Position buttons and other elements down to the pixel, then use the new alignment tools to line them up. - Builder Multi-Select: Select multiple objects and edit their attributes, move, or align them - all at once. Drag- or shift-select a series of buttons and set all their widths at the same time, assign labels, or nudge them with the arrow keys. - Gateway IP Tracking: Auto-discovered gateway IP addresses are tracked so they can move and still work.